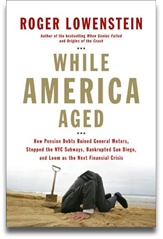 Last night PBS aired a Frontline documentary on the cascade of financial catastrophe that begin with the rumors of Bear Stearns’ imminent failure and ended the passage of the $700 billion bailout plan. Producer/director Michael Kirk says, “How did it all go so bad so quickly? Who is responsible? How effective has the response from Washington and Wall Street been? Those are the questions at the heart of Inside the Meltdown“. In addition to hosting the entire documentary for free on its web site, PBS also has additional interviews with Alan Greenberg, Paul Krugman, Sheila Bair, Martin Feldstein, and others. Rothkopf, David. 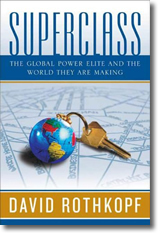 Superclass : the global power elite and the world they are making. Farrar, Straus and Giroux, 2008. The superclass is comprised of the 6000 most influential people worldwide. Included in the group are top government leaders, military generals, key executives and shareholders from giant corporations, Arab sheikhs, influential artists and scientists, and leaders of the world’s religions. Membership in the superclass is transitory and lasts only as long as someone has the power to influence millions of people internationally. Overrepresented are people who trace their cultural roots to Europe, who attended an elite university in the US, and who are men who work in business and finance. People from Africa and women are seriously underrepresented. The superclass redirects massive assets among markets; creates, dislocates or eliminates jobs around the globe; determines the viability of governments; and plays a vital role in shaping the global era. As a group the superclass helps define the tenor of our times and decides what our priorities are. The superclass possesses a disproportionate amount of power in the world. Author Rothkopf discusses relationships among these global leaders and their implications. He addresses the nature of inequality of wealth and power and questions whether national borders are still relevant. He discusses trends in global power and makes some predictions about the future. Allen, David. 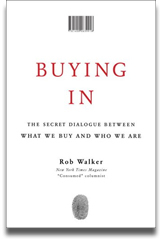 Making it all work: winning at the game of work and business of life. Viking, 2008. Allen, David. Getting things done: the art of stress-free productivity. Penguin, 2001. Allen, David. Ready for anything: 52 productivity principles for getting things done. Penguin, 2003. In conversation with 1st year Ethan Dameron, I noted the time pressures that I see in MBA students — Too much to learn and too much to do in a six-week term. 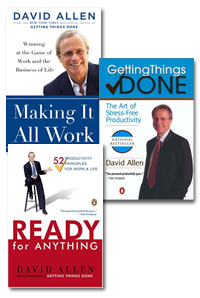 Ethan recommended books by author David Allen, management consultant and executive coach. The Ford Library purchased Allen’s new book Making it all Work, as well as his two earlier bestsellers, Getting Things Done and Ready for Anything. Author Allen believes that people experience stress when they are over committed. The key to a stress-free life is to manage the to-do list and Allan has developed a simple and effective method for dealing with heavy workloads. As people begin to close the loops on commitments, they can relax and focus on what needs to done with increased productive energy. When their minds are clear and their thoughts are organized, people can accomplish more than they ever thought possible. Most of the book Getting Things Done is prescriptive. Allen has a specific method and he shows the reader how to implement it. Allen’s new book Making it all work contains much of the content from the original book, Getting Things Done, with additional motivational material. In Ready for Anything, Allen discusses his principles in a series of 2- or 3-page chapters. Getting Things Done and Making it all Work are also available in audiobook format from the Ford Library. Brafman, Ori and Rom Brafman. Sway: the irresistible pull of irrational behavior. Doubleday, 2008. Thaler, Richard H. and Cass R. Sunstein. 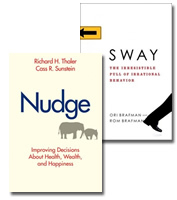 Nudge: improving decisions about health, wealth and happiness. Yale, 2008. Most people consider themselves to be rational. They evaluate their options and make decisions rationally, or at least they think so. Recently, a number of books have been published that show that people routinely make bad decisions because they are not paying attention; because they are influenced by their emotions and expectations; because they are pressured by social norms; or because they have limited self control. The most popular and well-regarded of these books is the best-selling Predictably Irrational by Fuqua faculty member Dan Ariely. Predictably Irrational is a fantastic book that has been reviewed extensively, including reviews in the New York Times and on NPR.